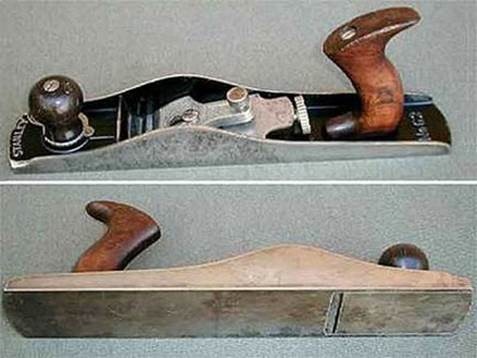 Patrick Leach writes, “This is one of Stanley’s better planes they ever decided to manufacture. 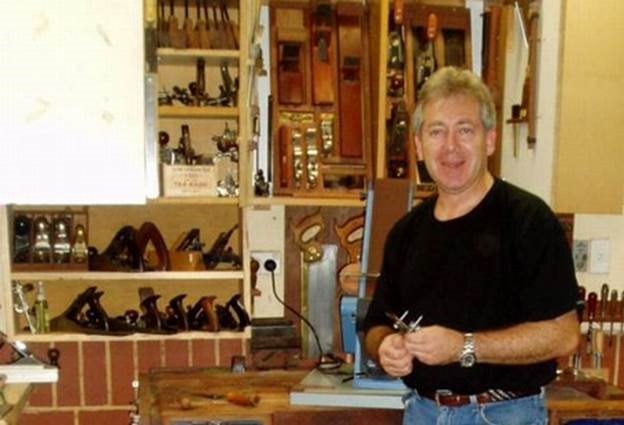 It is nothing but a jack plane with the block plane mechanisms added to it, instead of the common bench plane mechanisms. It has its cutter seated at 12 degrees, an adjustable mouth, and the depth adjustment knob like that found on the other block planes in this series”. The #62 is the same length and size as the #5. This one likely dates to around 1920-30. I recently bought this plane on eBay. Hans Brunner was selling it. 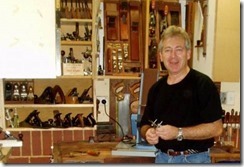 He is a very reputable local dealer and can be trusted to provide accurate information – all of which made the description of the Stanley #62 sound less than a bargain. Hans wrote: “Stanley 62 low angle plane – great for parts or show… This one looks good but has a few problems. Mouth enlarged, both sides cut/angled at the very front and there is some mild pitting on one side. The handle has a hairline crack. On the positive side: Most japanning intact, full SW cutter and very good lever cap. Front knob complete with the bottom plate and the adjuster cam. Not recommended as a user but a rare plane with all those hard to get bits and pieces”. When I looked at the pictures Hans included I realized that the plane may just be a user after all. The big issue would be if the mouth could be set for a fine cut. 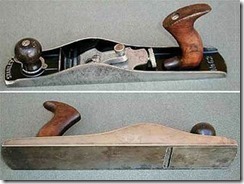 From the little I had learned about these planes they have a tendency for the mouths to chip at the rear. I suspected that a previous owner had filed this out (and from the pics had done so quite crudely). I could not see why the front of the mouth would be filed since the mouth is adjustable. Perhaps Hans may actually have got it wrong for once? All the remaining blemishes could be repaired, with the exception of the filed front. Cracks in handles could be fixed and pitting could be lapped out. In the end I got the plane for what I believe is a gloatable price – just $90 USD. This was made possible as there were only two other bidders. The advert obviously scared off everyone, and the auction was limited to Australia. 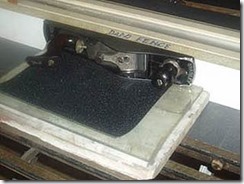 Generally planes in a usable condition run anything between $250 – $500 USD. Below are some of the original pictures showing the state of the plane. I cannot call this a restoration since this implies a return to original state, which is impossible here. I just wanted a good user with improved aesthetics. First of all the mouth was as I suspected – intact at the front and just roughly filed at the rear where it had chipped some time in its past. I filed it straight, then lapped the plane. The sole was mildly pitted on one side of the mouth, not to mention it was cupped along its length (about 1mm at the centre). I began with 80 grit and worked through to 360 grit. 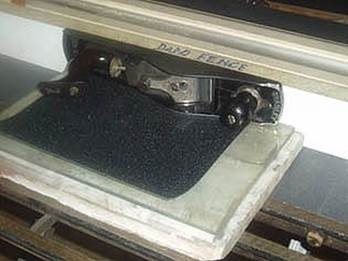 For this I have a 1m long piece of 10mm thick glass plate. The extra length of this makes much quicker work when lapping. Since I also wanted to use the plane on a shooting board, I took care to lap the one side (left face) perfectly square to the sole. This was done on my tablesaw using the fence and an attached subfence (for absolute accuracy). I have attached a picture below of my method here. 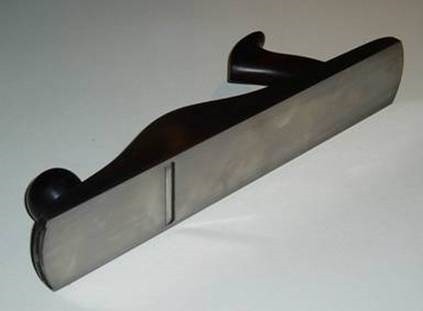 The other side of the plane, which was very pitted, was lapped to 360 grit as well but without concern for sureness since it would not be used in the same way. 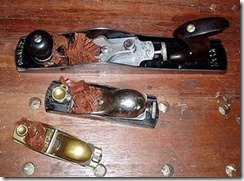 The rosewood handle had a tight crack that had previously been repaired. It was not quite centered and so was noticeable. However, sanding the handle down, first with 80 grit, ending with 600 grit, removed almost all signs that it was there (you have to look very closely indeed). The front tote turned out to be cracked underneath (these planes are susceptible to this). I used superglue on this since I wanted an invisible repair, and this did the trick. Again, sanded down to 600 grit. Both handle and tote were sealed with a single coat of blond shellac and Ubeaut Traditional Wax applied with 0000 steel wool. The result is a natural an incredibly silky feel. The rest of the plane just needed a wash in soapy water. I thought that the blade was in very good condition. For those unfamiliar with the Stanley #62 blade, it is about 50% thicker than the average Stanley blade. I have a LN blade on order, which is thicker still (at 1/8”). I am sure that this will bring performance improvements ( and it should then be every bit as good as a new LN). 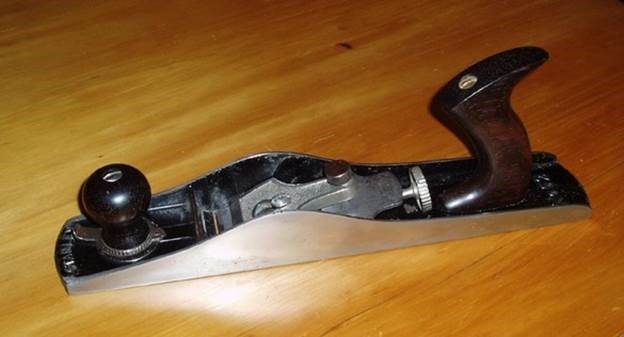 Not that the Stanley blade was a slouch. I sharpened it to 6000 on my waterstones and then honed on Veritas green crayon. Trying the #62 out on the long grain of a piece of pine is no test at all, but this was the first time I had used a low angle jack. I was very impressed with the finish it produced – so smooth that it gleamed as if polished. This was repeated on the long grain of Jarrah. I did a side-by-side with my HINT Gordon (high angle) smoother, and the #62 by far left the better surface. I have not yet compared performances on figured woods. A better test than long grain is pine and jarrah end grain. 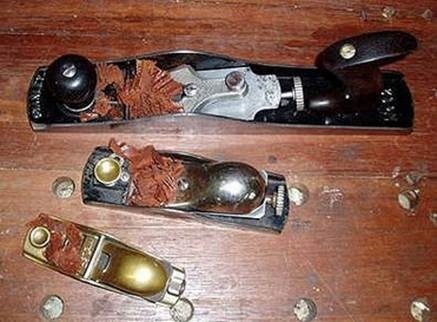 On this it effortlessly produced full-length gossamer shavings, surpassing my best low angle block plane, a Stanley #65 knuckle joint with a Hock blade. All-in-all I am very happy with this purchase. Every now and again one makes a really excellent find. This was one.